According to a Digitimes report TSMC has just hit a monthly revenue record, exceeding $2.62 billion for the first time ever. Revenues generated from 20nm production accounted for 10% in Q3. TSMC is ramping up 20nm volume and expects to double 20nm revenue by Q4 to exceed 20% of overall Q4 sales. We’ve reported yesterday that AMD’s next generation Fiji XT GPU may very well be ramping. 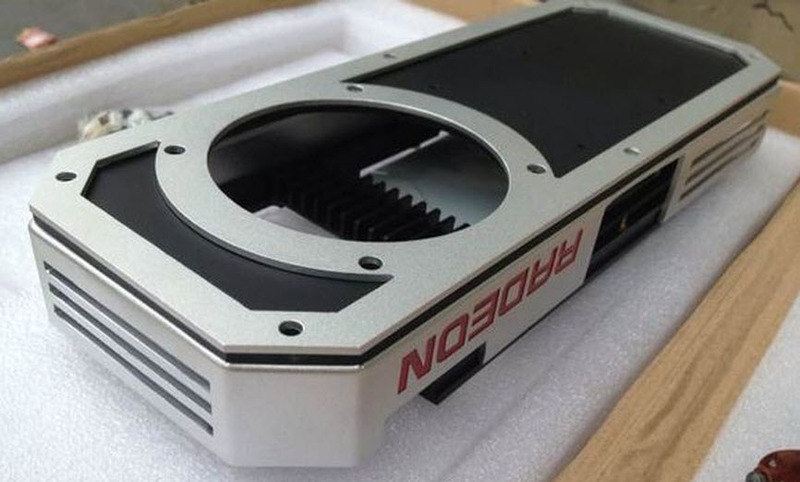 This GPU which is supposedly going to power AMD Radeon R9 390X GPUs, has appeared in Zuaba’s import database . Shipping from AMD’s graphics business offices in Canada to Hyderabad India. The shipped item was the PCB assembly for the GPU, likely for testing and validation purposes. Nvidia is reportedly planning an introduction of its ‘BIg Maxwell” GM200 GPU in 28nm next year with the 16nm shrink slipping to 2016 due to TSMC’s 16nm delays. AMD seems to be following a more traditional granular transition from 28nm down to 20nm and then finally to 16nm. We’ve seen possible specifications of GM200 leak into SiSoft Sandra’s benchmark database. According to the entry, GM200 has exactly 50% more of everything compared to GM204/GTX 980. The memory interface is 50% wider, the GPU has 50% more CUDA cores, TMUs and ROPs. We still haven’t seen any specifications for Fiji leak yet but I’d expect a similar 50% increment in resources compared to Hawaii. Some reports indicate that Fiji will be the first GPU to utilize HBM. Which is a 3D stacked “High Bandwidth Memory” co-developed by AMD and SK Hynix. So it’s going to be interesting to see how that affects both performance and efficiency. UPDATE : Possible specifications of AMD’s upcoming flagship Fiji XT GPU have been leaked, on the same SiSoft Sandra benchmark database no less. And our estimation of a 50% improvement over Hawaii along with HBM memory has turned out to be remarkably accurate. According to the leak the GPU will feature 4096 stream processors and 4GB of HBM. With reports of both Nvidia’s and AMD’s upcoming GPUs intensifying. We’re bound to see both appear sometime in the first half of next year. According to Videocardz.com Fiji XT is expected to debut between January and February next year. With a similar estimated time frame for 28nm GM200. If you’ve been waiting for either of these chips you’d better start saving your pennies now.